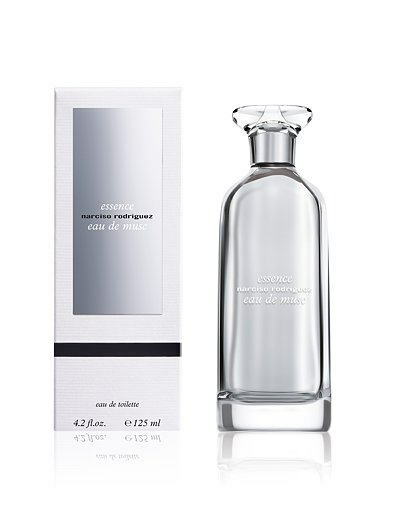 This is a refreshing, more citrusy spin on the classic Narciso Rodriquez fragrances and decidely cooler fare.It is a quiet but complex composition of citrus, flora, bergamot, spice, and a powder and musk accord. Of the florals, IIris seems to dominate. It is definitely airy and feminine but I detect jasmine or maybe it is that somewhat soapy (it's even reminiscent of Sicily, Estee Lauder) smell that makes me think, bath time jasmine. It is clean - versus innocent; tidy versus 'nicely put away'. It's sophisticated and almost pretty but a bit like a pretty girl with too big a nose! Somehow, one note (citrus? bergamot? or just the domiance of musc in an otherwise light perfume) leaps out and casts an acidic pall on things. That said, this is a unique and special perfume -it's just not, for all the warmth and promise of musk, that warm or animalistic. It's more watery and ephemeral than that. If you were expecting something angelic here, say, like famed Thierry Mugler's Angel, think again. This is another dramatic scent but it's hardly sweet. Instead, it is riveting in a citrus, wood and salt fusion, a result of a fruity top note (Marans des Bois Strawberry), followed by White Fig (frankly a few incarnations of fig: fruity fig, fig leave and fig wood), and a basenote of caviar. No, no one gets the caviar touch but most reviews harp on this perfume as being salty, green and fresh. For some reason, I also smell spice. But salty, fresh and green it is. It's definitely a daytime, upscale work perfume, take-the-meeting-by-storm assault but coy, sweet and demure it's not. That said, Womanity is quite well named. It's about strength.....with a pretty bow afterthought to tie it all up. Base notes: sandalwood, tonka bean, musk, vanilla and cedar. 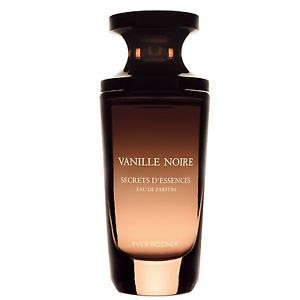 Note on fragrance notes: despite this detailed fragrance 'recipe' that is the official Oriens story, I still smell black currant, praline, white jasmine and patchouli - These additions aren't stated at the Van Cleef and Arpels site but I definitely inhaled those extra scent suspects in this perfume. It is also probably why for all its sweetness and vanilla innocence, it is way complex and just so incredibly appealing. By the way, if you like Beautiful (and who doesn't?) by Van Cleef and Arpels but worry this would be as equally over the top (or as sweet as Feerie), no worries. This is a perfume breed of a totally different echelon. Oriens is the subtle mystery of the Orient and all bound up in a contemporary way. It is perhaps unfair to start by saying if you like Sarah Jessica Parker's Lovely and Guerlain's Idylle, and last, Narsico Rodriquez for Her, you will similarly adore Oriens but it is as fair a start as any. What is similar about all these fragrances? Well, they are all light, airy, feminine and while categorized (for the most part) as Floral Oriental, they are hardly old school, in that regard. 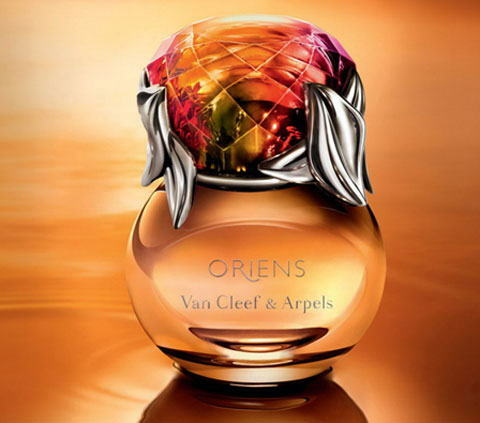 Oriens, as are the rest, a whiff of fresh air on the subject of Floral Orientals and it's as if feminism got into the mix (and the bottle) and while the Oriental nod is there, it's a whole new ballgame of this genre. Now back to Oriens - It is more of a fruity, floral VANILLA perfume that wafts wealth, a kind sort of entitlement, and a woman who has arrived - whether she is 30 or 60. It makes a statement but it's so complex (for all its sweetness) that it is still understated. The musk and cedar at the base ensure it has a bit of animal charm intact, for all its elegance making this (given you like vanilla because that you will note it instantly) the total package.